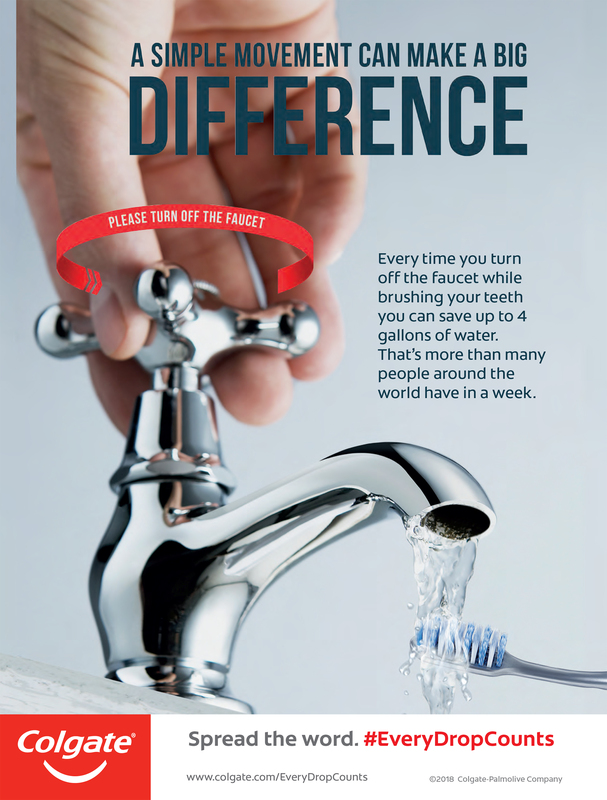 [March 23, 2018, New York, NY] – In support of World Water Day 2018, Colgate is asking people to join their efforts to reduce water waste by turning off the faucet while brushing their teeth. Colgate continues its multi-year campaign to raise awareness of water scarcity and to help preserve this natural resource. As part of the 2018 effort, the brand announced its sponsorship of #RunningDry, an initiative created by water advocate and ultra-runner Mina Guli, who will run 100 marathons in 100 days across six continents to put a spotlight on water challenges around the globe. Today, 130 million Americans face severe water scarcity for at least one month every year1, yet 42 percent of Americans report leaving the faucet on while brushing their teeth. According to the U.S. Environmental Protection Agency, nearly four gallons of water can be wasted if the faucet is left running while brushing. 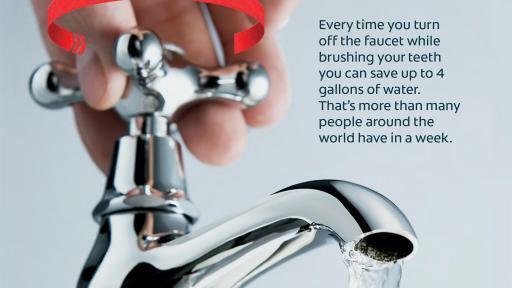 By simply turning off the faucet, individuals can make a difference. Global Ambassador Michael Phelps: Phelps will continue to encourage his millions of social media followers to turn off the faucet, because #EveryDropCounts. 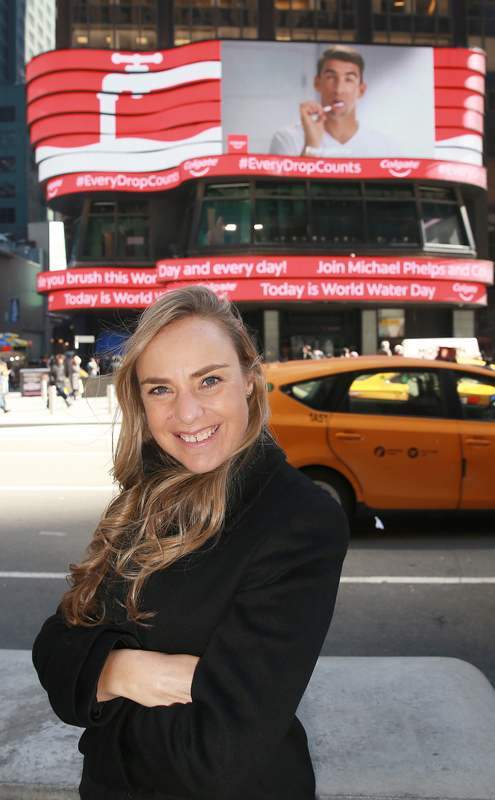 Times Square Takeover: Colgate will take over select billboards in Times Square from 11:30AM – 2:30PM on World Water Day, showcasing “Save Water” reminders. Mina Guli will also address reporters about the issue of water conservation. Water Waste Documentary Series: Colgate is helping produce a series of documentaries featuring Ms. Guli, highlighting water scarcity in the Great Salt Lake; explaining water origins in the Catskills of New York; and presenting innovative solutions to help California’s agriculture. 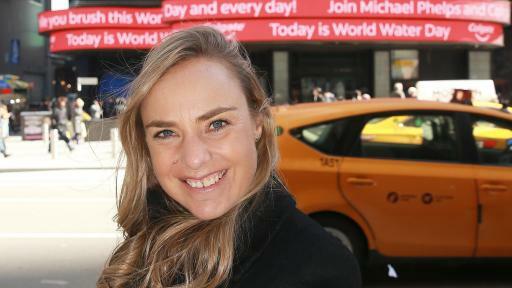 CNN PSA: A 60-second PSA will air on CNN on March 21 and 22, highlighting the three-part documentary series. 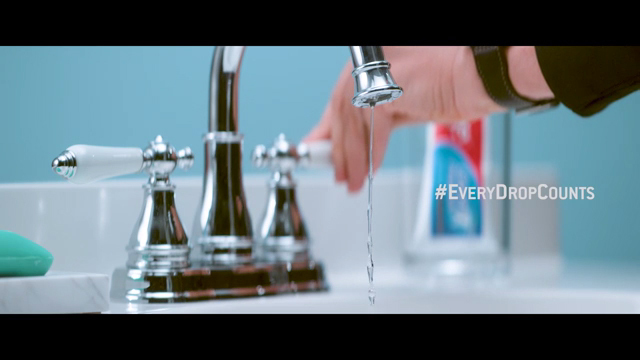 Inspired individuals and families can pledge to turn off the faucet at EveryDropCounts.Colgate.com and spread the message of water conservation using #EveryDropCounts this World Water Day and every day. passionate and committed to making a difference in the world. 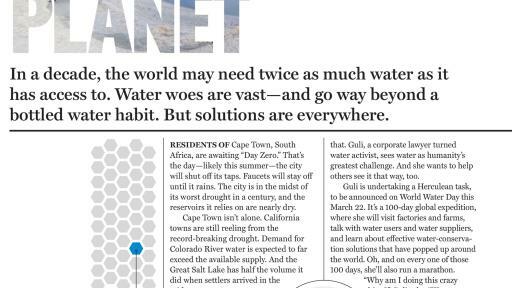 Thirst is harnessing social media and technology to inform and inspire 14-24 year olds about water and the steps they can take to reduce their own water consumption. Mina is also a keen ultra-distance athlete, having started running only at the age of 22 after a severe injury. 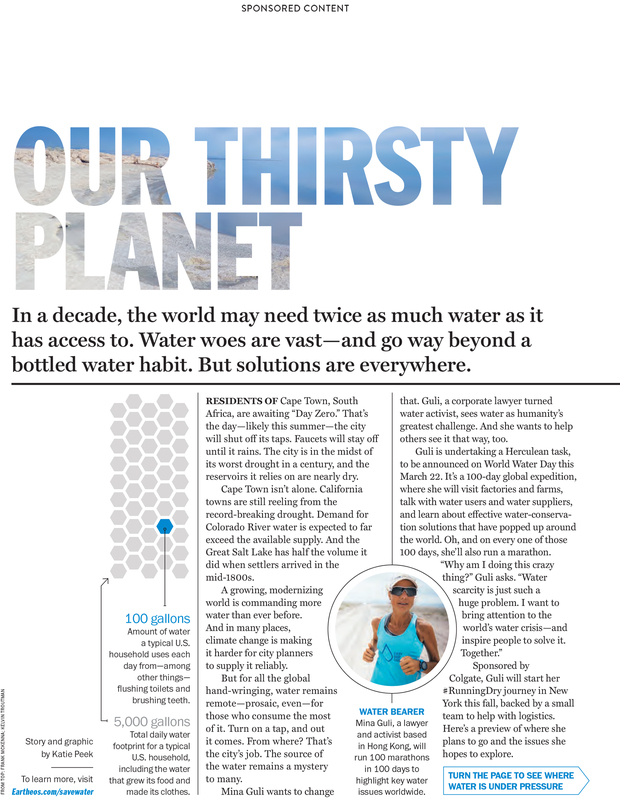 Named as one of the 50 greatest leaders in the world by Fortune, Mina runs to raise awareness and inspire action around the global water crisis and in doing so, has set two world firsts. 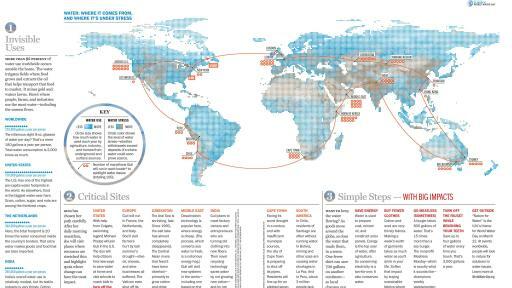 In 2016 in just 7 weeks, Mina ran 40 marathons across 7 deserts on 7 continents. 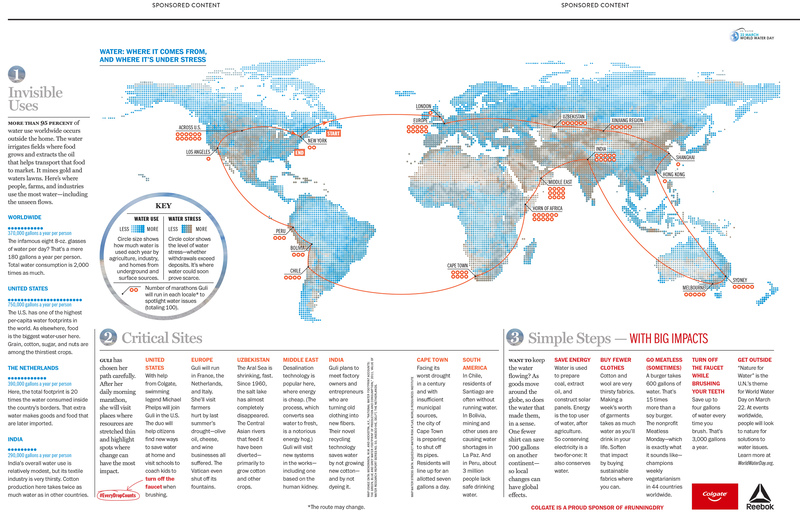 In 2017, Mina ran 40 marathons in 40 days on 6 continents down 6 of the World’s great rivers – to promote the UN’s Sustainable Development Goal 6 (water). Now in partnership with the United Nations Development Program, Mina is currently planning her next expedition – to run 100 marathons in 100 days for 1 reason: water.